A new bill that would make community and technical college more affordable to Washington State residents has just been drafted in the Washington senate. However, the bill faces opposition because it requires revenue that the state is unlikely to provide. 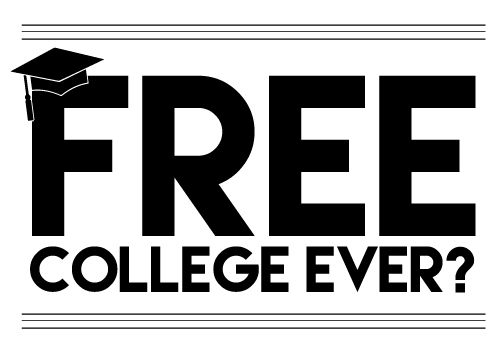 The new bill, titled “Washington Promise” SB: 6481, would make two-year community and technical college programs more affordable by offering a tuition waiver to all Washington State residents once they apply for the Free Application for Federal Student Aid (FAFSA). After earning 45 credits, students who wish to remain eligible for the Washington Promise program must maintain cumulative GPA of 2.0. 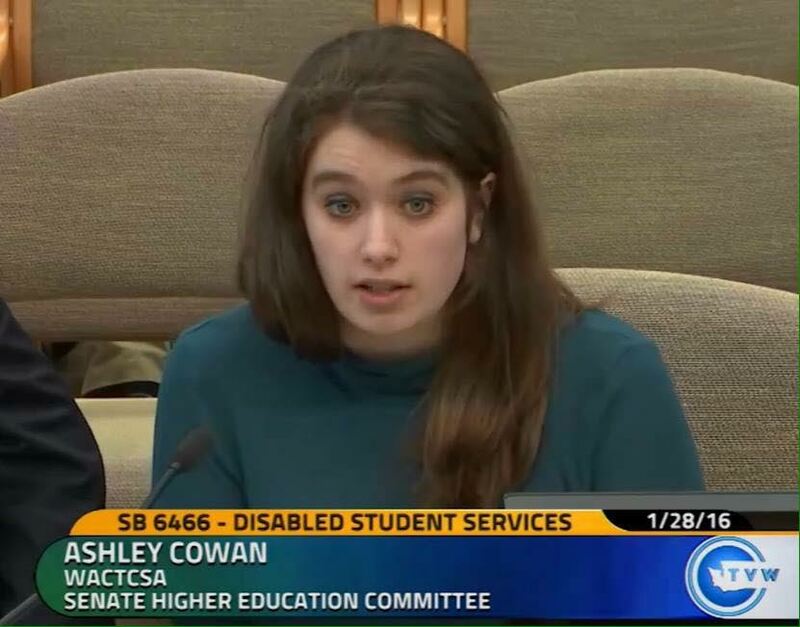 ASG President Ashley Cowan has been lobbying for this bill with the support of the Washington Community and Technical College Student Association (WACTCSA) since Jan. 21, when the bill was drafted. While initially feeling contempt of the bill due to eligibility requirements, WACTCSA president David Ruiz said he believes it is an important step in fulfilling the organization’s ultimate goal of attaining free community college for all students. On Jan. 26, Cowan rallied with other members of WACTCSA in Olympia to lobby for free community and technical college and to get the attention and support of state representatives. Despite partisan differences, Ruiz said most of the politicians WACTCSA spoke to were receptive to their advocacy. These included republican representatives Terry Nealy, Maureen Walsh, and Mike Hewitt, who agreed with WACTCSA on the need for cheaper college tuition and the rising demand of higher education by employers. However, a major point of contention between WACTCSA and these representatives arose from the money required to fund affordable college. The fiscal note attached to the Washington Promise bill indicates that if passed, the legislation will cost the state approximately $100,000,000 by 2021 due to the loss of tuition revenue. Ruiz said that the cost will most likely mean cuts to higher education, as the state will be unable to make cuts from sources like the washington state penal system or Health and Social Services. Ultimately, the quality of education could possibly go down if tuition is made more affordable. WACTCSA, which seeks to bring students a collective voice through the efforts of 34 community and technical college representatives, has been advocating for free community college in Washington since it was founded in 2011. Cowan, who is the Chair of WACTCSA’s Region 3, which consists of Edmonds, Cascadia and Shoreline Community College, was responsible for bringing the bill to the attention of the organization. According to Cowan, after hearing Washington Senator Pramila Jayapal introduce her plan to draft SB: 6481 at a Legislative Reception at the UW, she made a point of following up with the senator’s office and notified WACTCSA about the bill shortly after. Despite WACTCSA’s support of the bill however, Cowan believes SB: 6481 will most likely die in legislation this term as the funding behind it will not go over well with many members of the senate. Terry Taylor, the Assistant Dean of History and Political Science at SCC agreed, saying that if an additional source of revenue is not found, the bill will not stand a chance. Taylor said that while the Washington Promise bill does have bipartisan support, it will most likely require some sort of tax reform to pass, a process that he said will have to wait until 2017 when revenue and spending bills are drafted during the state Biennial Budget Session. If a bill were passed to increase taxes in Washington, the state would be able to cover the cost of tuition loss from affordable community college with this increase in revenue. Taylor said that without some sort of revenue adjustment however, the state will have little money available to fund free 2 year college as the state is currently being fined $100,000 a day to fund K-12 public schools as a result of the McCleary lawsuit of 2012. While the chances of the bill passing are grim said Taylor, other states have passed similar promise bills with good results. In July of 2015, Oregon passed their own promise bill which allows high school graduates with GPAs over 2.5 to be eligible for tuition waivers. Tennessee released a similar bill 3 years ago, titled “The Tennessee Promise”, funding the action through the state’s lottery system. Since passing the bill, Tennessee has seen a 25% increase in 2 year college participation rates and have paid virtually nothing for it. Taylor said that Washington is capable of paving a similar path but said that ultimately, voters will have to decide if they are willing to pay higher taxes to do so. Currently Washington is one of only 7 states in the U.S. that does not have an income tax, despite having some of the highest paid residents in the country. Addison Monahan, who is a student at Shoreline currently receiving financial aid, said that he believes free college tuition would incentivize students to attend community and technical colleges, saying that students who are distracted by jobs will have more time to dedicate to subjects that they are struggling in. C.J. Lorey, a third year student at SCC who is not on financial aid, said that free community college tuition would allow her to not only save up for an apartment but also allow her to put money away for university.